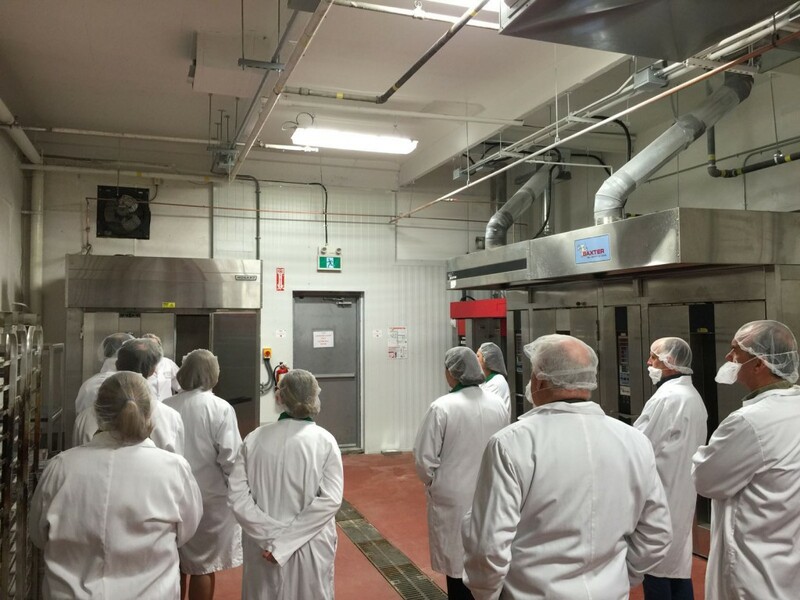 The Golden Horseshoe Food and Farming Alliance kicked off our AGM this past Monday in Toronto with a tour of Food Starter – an incubator focused on helping early-stage food processors and manufacturers grow their business. 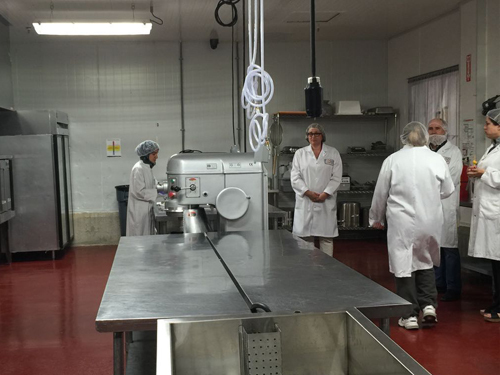 Last year, the GHFFA provided $10,000 in funding to the incubator as part of our Action Plan to Foster Innovation, so it was fitting for the Alliance to get a first-hand look at what’s happening within their entrepreneurial walls. 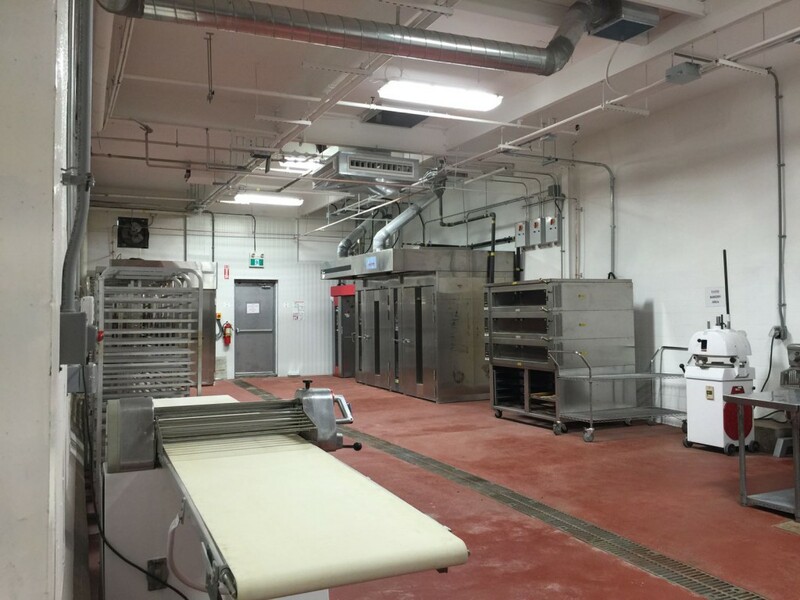 Essentially, Food Starter helps drive food entrepreneurs’ ideas from concept to shelf, offering the intricate support, tools and equipment needed along the way. 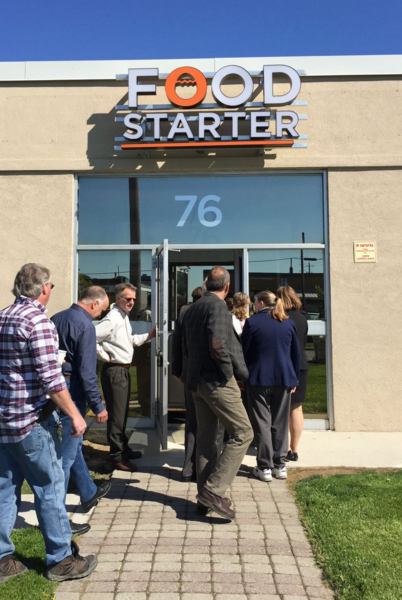 To truly complete our tour of the impressive incubator, we were fortunate enough to get a taste of some of the entrepreneurs taking advantage of Food Starter, actualizing the diverse support clients receive. There’s the obvious tangibles such as equipment, space, and packaging, but there’s also commercialization and product scaling support through training, courses, and even some market research (e.g. uncovering what customers are looking for, and finding the right price points). The GHFFA was able to meet four of the driven entrepreneurs working that day, each using a different area of the accelerator or incubator – but all with one commonality: a focus on healthy food. 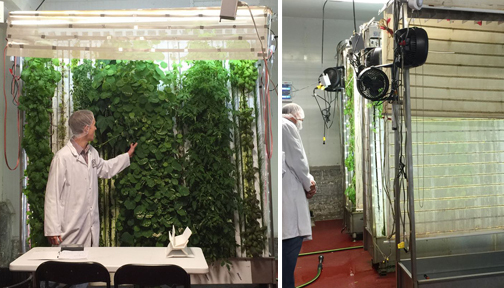 Local Grown Salads is using vertical agriculture to grow greens in a controlled environment, which allows them to confidently make claims such as pesticide-free, herbicide-free, and halal (no insects). 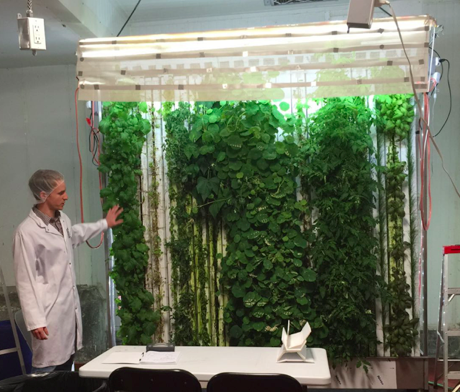 These impressive towers are growing bright, hearty greens at an efficient rate, using ‘oxyfruitigation‘ (check out this fantastic video they’ve shared). 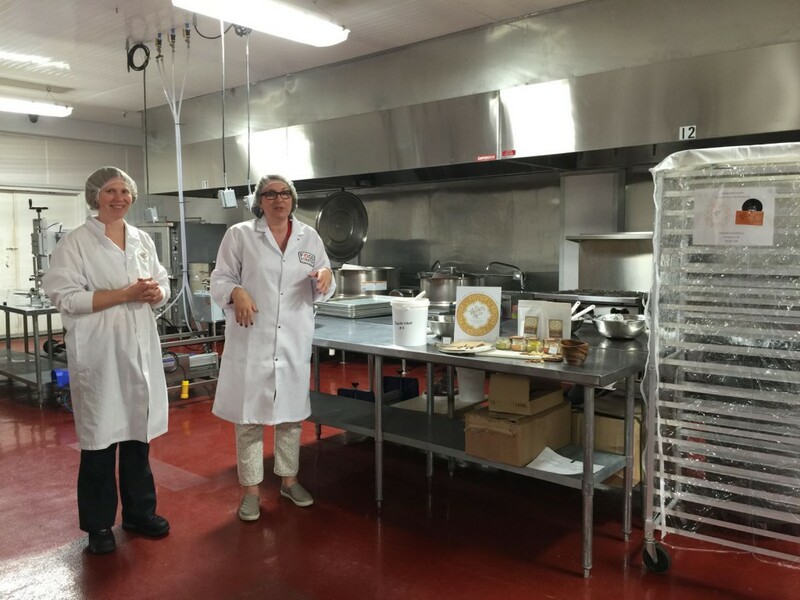 Crooked Tree Fine Foods from Collingwood has created a line of tree-nut spreads, which are allergy-friendly, and dairy- egg- and gluten-free, meeting an increased demand for alternative nutrient-rich snacks. Monica Roe, founder, is also inventively battling waste, using the extra nuts and ingredients from the spreads (and from almond milk she also makes) to bake her own crackers. A few steps across the incubator led us to Jackie of Fressy Bessie, ready to give out samples of her sugar-free, 100% fruit popsicles. Jackie has found that, like herself, many parents want smaller, healthier snack options for their children, and is breaking into that market using smaller molds to create 100% fresh fruit popsicles. Jackie is making use of the equipment (e.g. the expensive chiller) to reach a scale of popsicles that would otherwise be quite difficult. Nutritionist Maryam Munaf has brought a staple food from her home in Dubai to the incubator with Healthy Genie Inc., using dates to make unique nutrient-packed snacks full of fibre, potassium, iron and antioxidants. Their research here has helped with some key decisions, like how many to sell in a box. And, as a result from the GHFFA tour, Carolyn Puterbough with OMAFRA has connected Maryam to a potential new supplier. 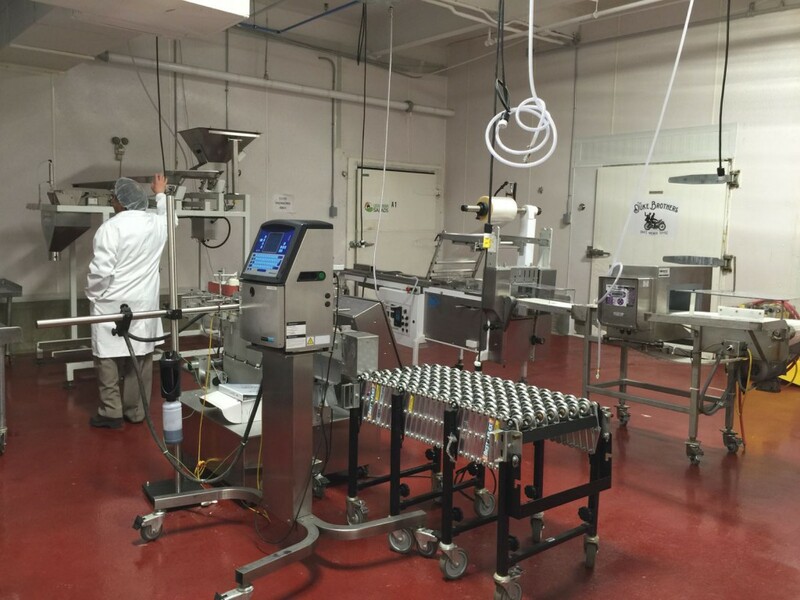 Food Starter grew out of a prior pilot project that had demonstrated there was demand for support navigating the regulatory labyrinth that makes it very complicated for early-stage food manufacturers to grow their businesses. Less than a year into their launch, it appears as though Food Starter has already made significant headway in supporting a myriad of food entrepreneurs grow their business and get their nutritional products to market, and into the hands of local consumers. Thanks to Dana McCauley, Food Starter’s Executive Director, and Michael Wolfson, Senior Advisor of Toronto’s Food & Beverage Sector, for the flavourfully informative tour, and to the entrepreneurs who took the time to talk with us, and share some of their deliciously innovative products. Stay up to date with Food Starter on their website!